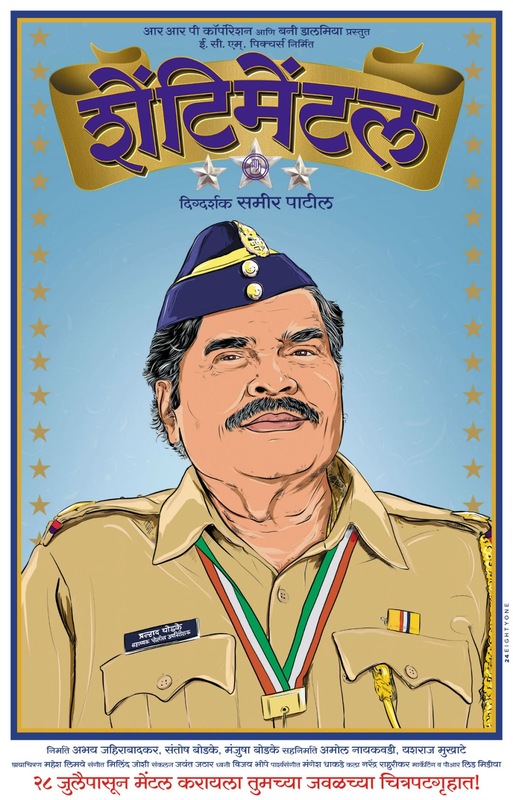 "Shentimental (शेंटीमेंटल)" is an upcoming black comedy marathi movie starring our very won beloved actor "Ashok Saraf", after a long time we will be seeing him on big screen other actors in the film are Upendra Limaye, Raghubir Yadav, Pallavi Patil, Vikas Patil, Rajan Bhise and Pushkar Shrotri. The film is written and directed by "Poshter Boyz" and "Poshter Girl" fame director "Sameer Patil". the movie is produce by Abhay Jahirabadkar, Santosh Bodke, Manjusha Bodke and Sameer Patil under the banner of "Engineers' Combined Motion Pictures LLP Production". The film will release in cinema theater on 28th July 2017.